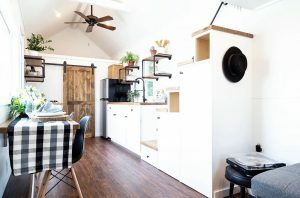 Last year, Liberation Tiny Homes, a very successful tiny house builder in Lancaster County, Pennsylvania, took a calculated risk. 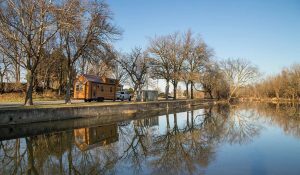 “We really started to focus on making tiny houses more affordable for people. We had a lot of people who came in and loved our houses, especially our most popular model, The Farmhouse, but they couldn’t quite pay $60,000. 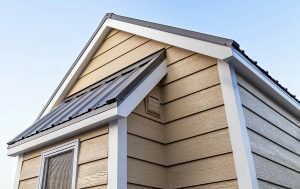 They challenged us to build a 24-foot house for $45,000,” said Matt Meshey, a sales and marketing rep with Liberation. A lower price point was fine with James Stoltzfus and his wife, Rose, who started Liberation in 2015, so long as the solid construction and beautiful designs that helped their company grow quickly wouldn’t be compromised. James’ cousin, Marcus Stoltzfus, joined the company early on. 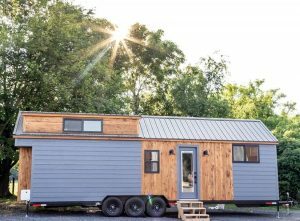 A new, very popular, 24-foot model, Rumspringa, is what resulted. “This year, we will build about 35 homes. We really ramped up production, and nearly doubled in size. It’s been a good year for us,” said Meshey. 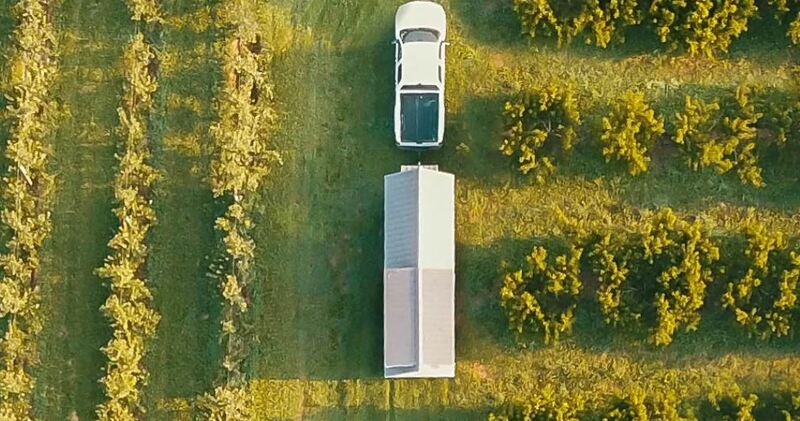 The Rumspringa is built on a double-7,000 lbs.-axle, custom trailer and features Anderson 100-series windows, an on-demand water heater, a propane 3-burner cooktop, a 10-cubic-foot stainless steel refrigerator, and oak butcher block countertops. It also has lift-bed, fixed-loft, and Murphy bed options, according to Meshey. “Interest in our shells is growing, too. We offer two options to be finished by the buyer. Stage one is framed up on a trailer. Stage two is a finished exterior with water-tight windows, doors, walls and roof. All of our trailers come with 7” of insulation in the floor,” said Meshey. “It’s been difficult for buyers to secure financing. Most of our clients who have financed homes got them certified as RVs and then obtained loans through local banks and credit unions,” said Meshey. “The RV route makes insurance easier. Currently we are referring customers to a Farmers Insurance agent named Michael Carmona, who is based on the west coast,” said Meshey.